Are you ready to expand your skills?This class offers a new twist on working with wire. 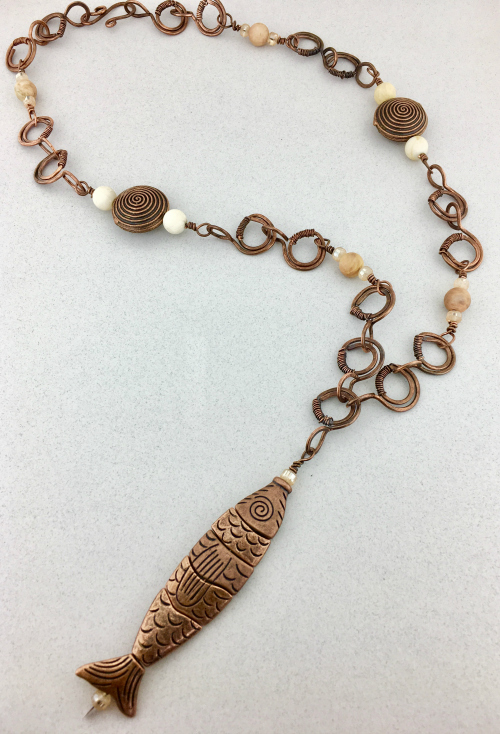 Learn how to link various elements using wire and beads into an intricate looking necklace. This class is suitable for those with some basic wire working knowledge. You will receive a copy of the instructions with your class fee.